This dish is one the kids will love...and since it is quick and simple to fix it is a busy mom pleaser too! In a large skillet cook sausage until brown and drain. Top with pepperoni slices, onion, mushrooms and olives. 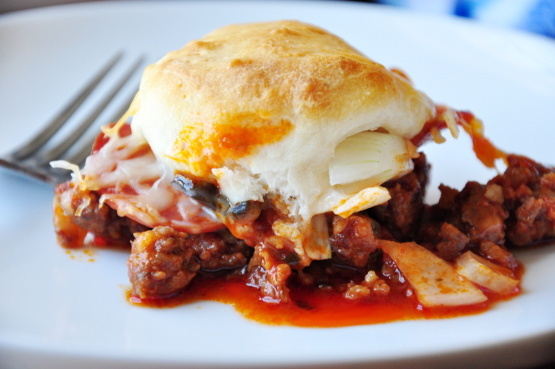 Flaten rolls and arrange on top of cheese. Bake at 400 degrees about 15 minutes or until top is golden.